So much for the dreams of Obaika Racing and the Daytona 500. 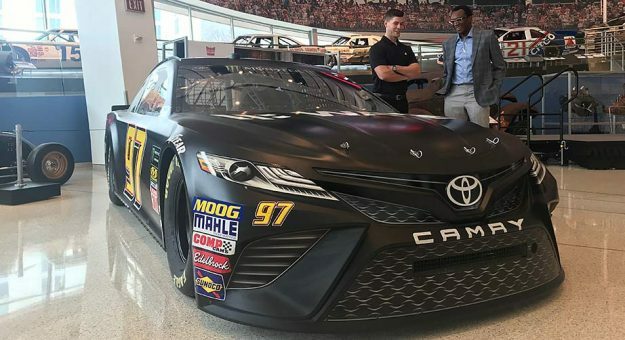 On Wednesday the first African-American owned team in NASCAR took to the NASCAR Hall of Fame to announce that WANE Sports would sponsor the No. 97 Toyota Camry to be driven by driver Tanner Berryhill in the season opening Daytona 500. Yet, when the entry list for the race came out the team was absent. Fast forward to Friday afternoon and the team’s hauler still had not arrived in Daytona. Obaika Racing never made it to Daytona. Instead the team released a statement saying they would not be entering the Daytona 500. Berryhill would have had to qualify on time or earn a spot via the Can-Am Duels. While attempting the Daytona 500 and missing the race would have set the team back, Friday nonetheless ends what has been a weird two days for Obaika Racing. Why did the team announce a sponsor and plans for The Great American Race only to back out two days later? That the team never appeared on the entry list for the race raises questions as to how serious they were in appearing in the race to start with. Lastly the question as to how viable the teams chances of going out west are now in question as smaller funded teams have been known to use their Daytona winnings to try and fund NASCAR’s westward swing of the schedule. Obaika Racing did run three races at the Cup level last season. They also have 78 starts in the Xfinity Series since 2015.